Do you have a best friend at work? Have you ever had a work BFF? If you’ve been lucky enough to have one, you know what a difference it can make. For a variety of reasons, it can make all the usual politics, challenges, and day to day ups and downs easier to navigate and thrive in. It can also deepen a friendship as you get the chance to do what you’re best at with someone you enjoy spending time with. We’re big fans of Gallup’s research into the workplace. Few have access to as many workers (typical studies include upwards of millions) or been doing it for as long (decades). “Our research has repeatedly shown a concrete link between having a best friend at work and the amount of effort employees expend in their job. “Those who [have a best friend at work] are seven times as likely to be engaged in their jobs, are better at engaging customers, produce higher quality work, have higher well-being, and are less likely to get injured on the job. Who wouldn’t want their staff to feel those things? Gallup is in good company. Not surprisingly, others studying workplace engagement and happiness had similar findings to Gallup. Especially for your youngest staff (age 18-24), it improves their happiness, motivation, and productivity. 1/3rd of Millennials believe that socializing and friendships are important to moving up the career ladder. 51% of workers stay in touch with their former colleagues, which can lead to boomerang employees, or in bad environments more turnover. 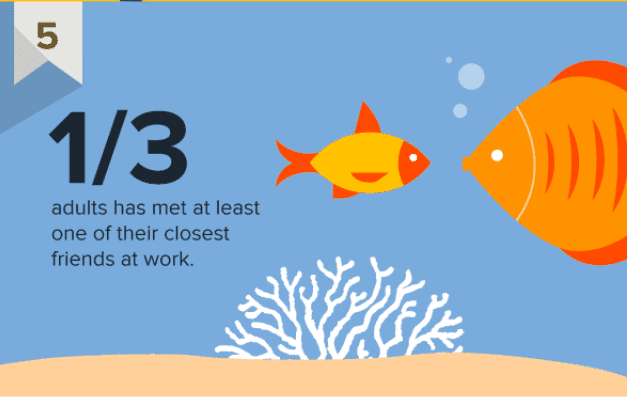 OffieVibe also found interesting data, including the fact that 1/3rd of Americans have met a best friend at work. Of course, some haven’t been as big a fan of having a best friend at work as a key indicator. Maybe they’ve never experienced it themselves, feeding their skepticism. Unfortunately, having a best friend at work isn’t as common as it should be: Gallup estimates only 2 in 10 workers have a work BFF today. Maybe you’re in the skeptics group, too, or wondering how something like that can have such direct benefits to the workplace. Today, we take a look at why having a best friend at work matters. 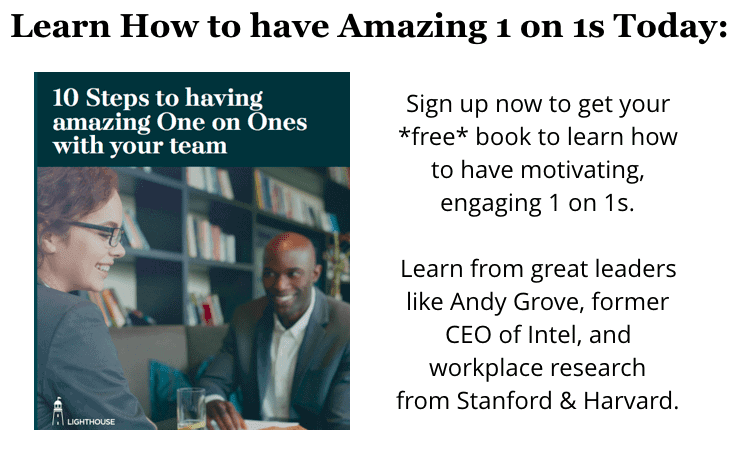 Then we’ll dig into a few ways you can work on having a work BFF yourself or for your team members. Quantitative data can tell you something is important, but it’s the anecdotal qualitative information that helps you understand the meaning behind numbers. 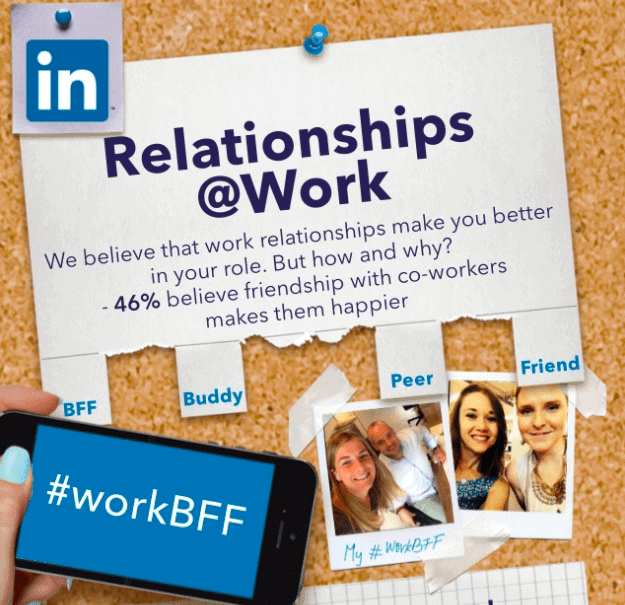 Now that we know the statistics behind the value of a best friend at work, let’s explore why having a work BFF matters. As Jobs describes, if you don’t like getting up in the morning for work for too long, it’s time to make a change. While the ideal is obviously you love your work no matter your peers, we know that’s not how it works. Having a friend you’re excited to get to work to see can be a key part of enjoying your job. Having someone you look forward to seeing can make it easier to get through a tough project, challenging time at your company, or just be excited to get to the office a little earlier. One of the interesting parts about working in startups, especially in Silicon Valley, are the friendships that form between founders and employees alike. When you spend so much time working together, it’s not surprising that strong bonds can form. I’ve had friends in the Valley that have met their spouses at work, as well as made the majority of their friends they spend time with on the job. In one case, I was at a friend’s birthday and out of about 20 people, I was the only one not working at his company! Whether or not it’s totally healthy to go so far as to have all your friends at your place of work, having some can be a huge boost. The more reasons to look forward to coming into the office each day, the better your job and morning routine will feel for you. Having a best friend at work can be very cathartic. Many times, we just want to feel heard and no one listens as well as a friend. Get a big win, or finish a big task? Your work BFF will be there to high five or share the perfect celebratory gif. Struggling with a colleague or boss? Your work BFF will listen and empathize. While any friend can listen and celebrate with you, only a coworker understands context. This shared understanding helps in a million little ways every day as you navigate your workplace. While having a work BFF can be healthy and boost your morale, if there are many problems on your team or at your company, it can backfire. When a company is dysfunctional, it’s easy to slip into gripe sessions with them. Thinking back to very early in my career, I had a job where I had a work BFF in this kind of situation. Unfortunately, things weren’t going well at the company, and our conversations reflected it. It was a little too easy to share eye rolls or complain. At that point, it was no longer nearly as beneficial to have a best friend at work. This is why as a lesson for leaders, you have to realize that your team having a best friend at work is a double-edged sword; when things are good, it can boost morale, increase productivity, and help you retain good people. However, if you have a toxic culture, it can lead to bad habits, unhealthy conversation, and employees leaving in waves. A lot of ideas can seem great in your head, but in reality be very poor. Other times, context you don’t know about can change everything. These are the kinds of situations where having a work BFF can make all the difference. While any co-worker can give you feedback, your best friend at work is most likely to help you catch yourself before making a mistake. Most importantly, if they’re a best friend, you’re also much more likely to listen to them. Feedback from your boss or an adversary can sometimes feel politically motivated, but when it’s your friend it carries meaning. You know they want the best for you. A Story: Helping friend with their body language. I was talking about this concept with a friend a few months ago and they shared a story with me I want to retell here. They were working remotely, with much of the meeting happening together in a conference room. Their friend was in the room with much of the executive team. Unfortunately, they had terrible body language. Being a proverbial fly on the wall, my friend was able to see their work BFF clearly looking closed off and uncomfortable. To help them out, my friend messaged their BFF. They first ask if they were feeling okay, then let them know how they looked. Best of all, when their BFF relaxed and opened up their body language, my friend could observe how it changed the meeting dynamic. Suddenly, they were more engaged, and others in the meeting brought them more fully into the discussion, too. TheirBFF would have never recognized this on their own, and a regular coworker would have never said anything. This is just one example how a best friend at work can help in a million small ways to make work better for you. If you’re reading this and have a work BFF, take a minute to be grateful. Only 1 in 5 people have one. Focus on rapport: Look for someone with shared interests and a similar career stage to connect with. Take advantage of easy social situations: Work happy hours, inviting someone along for lunch, community service events, etc are all great opportunities to build a relationship beyond TPS report covers. Take your time: Building any friendship takes time, and you won’t click with everyone. Have fun and use it as an easy way to get to know your coworkers, even if they’re not a BFF. Of course, you can shortcut all of this. When your company is hiring, refer a friend you’d love to work with. Then, you’ll have a work BFF from the day they start. However, be prepared for the relationship to change. Things that are okay outside of work are not always okay in them. And if one of you leaves the company, it could change how your friendship is going forward. Given so few employees have a best friend at work, it can be beneficial to think about how you can help your team members have more friends at work. Of course, this means you have the basics of good management already covered. Otherwise, go and first focus on the 3 keys to motivating and retaining your team first. Organize social events: Take the team to lunch, go out for drinks after a big project finishes, go do community service together, etc. Make time for small talk: If you have a remote team, it’s important to give people a chance to get to know each other. Making time for small talk in meetings can help people learn more about each other to start to build connections. Encourage Peer 1 on 1s: It’s a chance to improve collaboration and may blossom a friendship as they happen semi-regularly. Encourage casual conversation as part of it (this post can help). Also, just like we mentioned before, you can ask your team to refer in their good friends to work at the company. No matter how it happens, having a best friend at work is a great way to make work a little more fun and enjoyable. 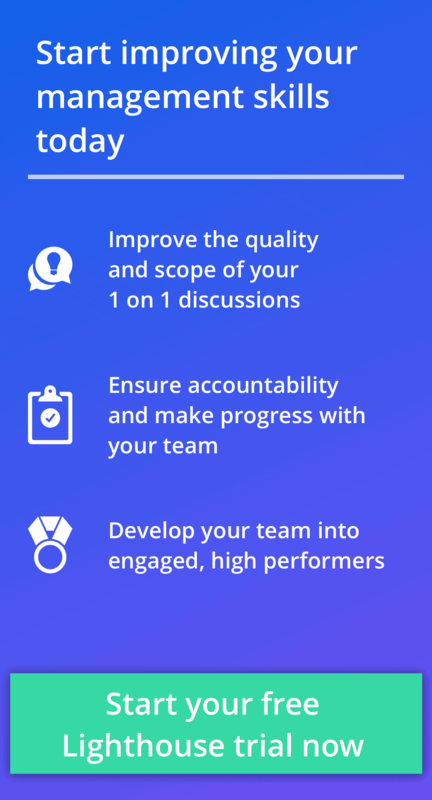 It’s an easy way to boost morale on your team and help a good team become great. Do you have a great story about having a best friend at work? Please share it in the comments.